Sonny, Sparkman & Stephens 53' sloop built in 1935. 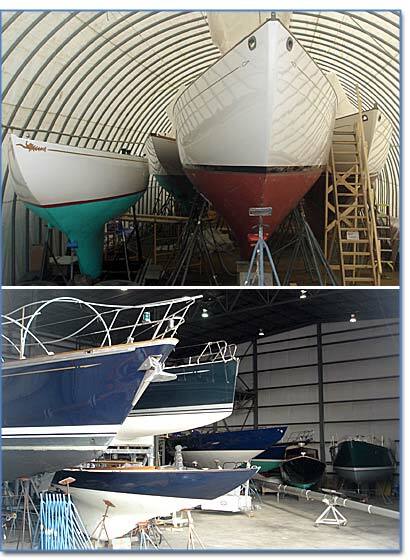 Re-fitted at LMI – East Passage Boatworks. CHIPS, P Class 52' Gaff sloop. Maintained at LMI for some years. Quartet, Hood 51' sloop. Maintained at LMI. Starfire, Hinckley Pilot 35. Refitted and rerigged at LMI. Barking Mad, Race team base camp.